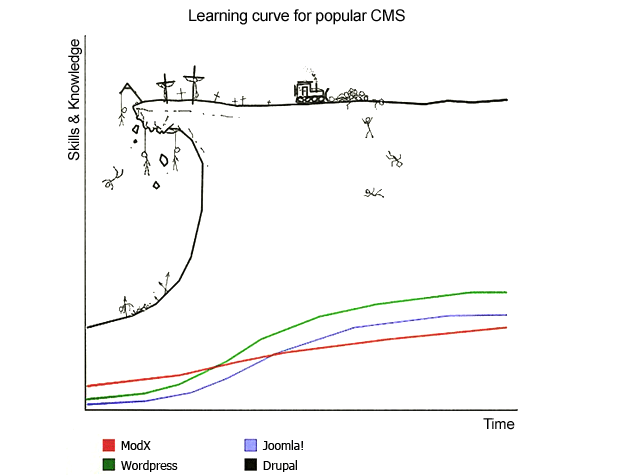 We love to introduce beginners to Drupal basics. We offer short introductory seminars for small groups on an on-demand basis for site building, templating, and developing extensions. Each seminar incorporates when appropriate the information architecture, user experience testing, and leadership and collaboration techniques needed to make any non-solo project a success. We offer courses with a defined curriculum on building, theming and developing a site. This is great for intermediate trainings of groups. We also offer decision-maker seminars for leaders who need a better understanding of the technology underlying their projects. Learn Drupal 8 from expert practitioners, emphasis on practitioners: We have the practical experience in developing web sites to impart the skills needed to get work done, and done right. As developers, Agaric is known for taking on the hard tasks when we collaborate on larger teams— we're thrilled to train you, because there's always something hard you'll want to hire us to do! In seriousness, from our first projects ten years ago, our goal has been to make our clients need us as little as possible, to put as much power as possible in our client's hands. That's why we started using content management systems in the first place, and it's a tradition we continue through developing with Free Software, writing documentation, and providing trainings. Agaric is active in the Drupal community at-large and has presented at various Drupal Camps as well as organizing Global Training Days in Nicaragua since 2013. Gracias por el interetes en nuestras capacitaciones. Solo necesitamos un poco de información acerca de lo que buscas y nos pondremos en contacto pronto.